The Technivorm’s Moccamaster KBT series features a diverse selection of stylish and incredibly powerful automatic coffee brewers. Their 79112 model is constructed with a sturdy metal frame and eco-friendly plastics (free of BPA, BPA substitutes, and phthalate) and utilizes a stainless steel carafe and paper filters to create a “cleaner” tasting cup of coffee. These materials, when paired with its unique cone filter and sequential steeping method, make every cup of coffee a true work of art. This coffee machine is capable of brewing the perfect amount of coffee for any situation. Its brew basket can handle both full (6-10 cups) and half batches (2-5 cups), and is capable of pausing the brewing process to create smaller batches if desired. Simply determine how much coffee you want to make and follow Technivorm’s recommended batch size measurements (included in the manual). The “Open” (or full batch) setting runs a full cycle of water, which filters 40 ounces of hot water through coffee grounds over the course of 6 minutes. The “1/2 Open” (or half batch) setting slows down the rate of the drip to use less water and lengthen the steeping of the coffee grounds. The unique “pause” switch allows you to suspend brewing until the switch is pressed again, making it perfect for those moments when life interferes. 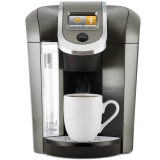 Unlike other automatic drip coffee makers, this machine utilizes a cone filtration system that resembles most standard pour-over brewing methods. The cone-shaped design filters water through your coffee grounds more gradually, allowing the water more time to steep in the coffee as it makes its way through. These longer steep times bring out more complex notes in the coffee by more fully activating the natural fats and oils contained within the coffee beans. This Technivorm coffee brewer uses standard #4 paper filters, which help prevent artificial tastes from seeping into your coffee (a common issue with metal and plastic filtration systems). 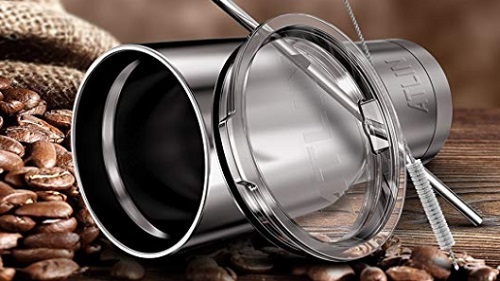 While the water reservoir is composed of sturdy plastic, all water is filtered through a glass passageway to keep the overall taste of your water pure before it meets the ground coffee. Proper temperature is one of the most crucial aspects of making (and maintaining) great coffee. 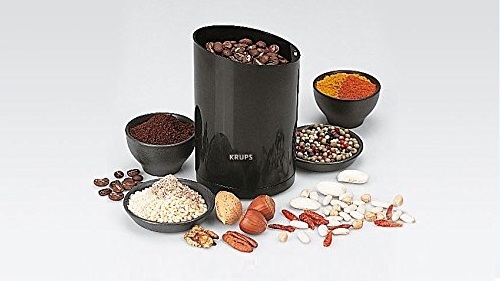 The main tower of this brewer features a water reservoir that connects to its central heating element, a copper boiler that heats water to the ideal coffee extraction temperatures (196-205ºF). Once brewing is complete, a hot plate beneath the carafe maintains an ideal resting temperature for the coffee (175-185ºF). The brew head includes 9 spouts that ensure all grounds are equally coated with water. In this process, the grounds are given a brief once-over of hot water and then allowed time to steep before cycling another, larger batch of hot water through activated grounds. This even distribution of water at variable intervals creates a “bloom” effect that extracts more complex and rich flavors from your coffee. The 1.25L (40 oz.) stainless steel carafe keeps your coffee hot for up to an hour once brewed. 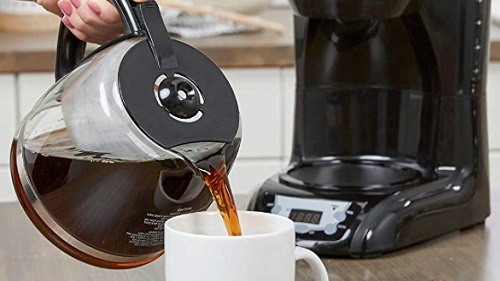 Its lid catches your coffee as it brews and prevents temperature fluctuation by creating a seal between the coffee and the insulated walls of the carafe. The brewer also comes with an attachable Travel Lid that can be placed like a stopper into the carafe, maintaining the coffee’s temperature for longer and making it easy to take coffee with you on the go. Technivorm is confident that their automatic brewers will serve you for years to come. Each purchase includes a generous 5-year warranty for new brewers, with a 1-year warranty being available for refurbished brewers. If any issues arise during this time, simply send the brewer (and all compatible parts) back for review. If your brewer is determined to be defective, they will either make appropriate repairs or completely replace the brewer. With its impressive attention to detail and numerous features that improve the flavor and life of your coffee at every step of the process, it’s hard to deny the dynamic utility of the Moccamaster KBT 79112. This brewer transforms your boring morning routine into an energizing experience that provides barista-quality coffee from the comfort of your home. Simply flip the switch, and you’ll experience the real taste of craft coffee for hours—and years—to come.